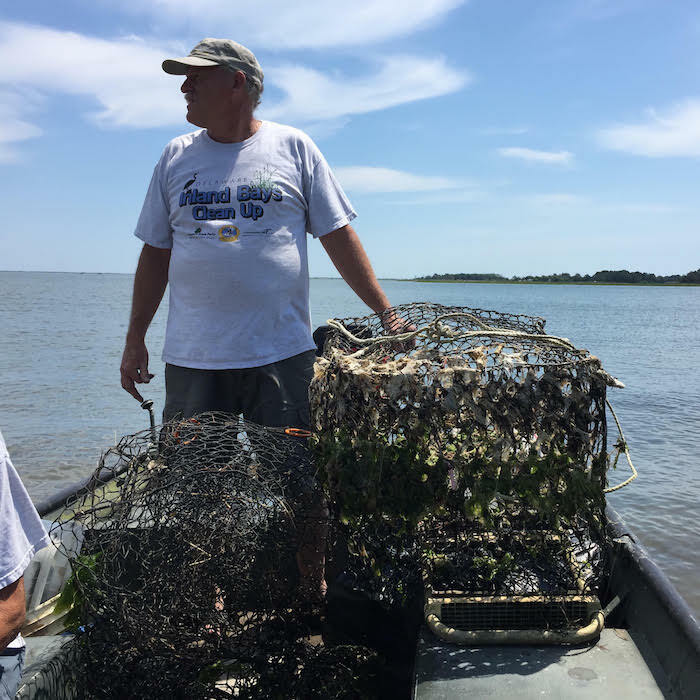 Indian River Inlet – The Delaware Center for the Inland Bays is seeking volunteers and participants with boats for the 13th Annual Inland Bays Clean-Up. This event will be held from 9 a.m. to 1 p.m. on Saturday, June 9th and will focus on the shores along Rehoboth and Indian River Bays. Last year’s event drew 69 volunteers who collected 1,300 pounds of plastic bottles, tires, cans, wrappers, docking lumber, and derelict crab pots. Such debris in the Inland Bays can be harmful to Bay users and marine life. Although most visitors to the Inland Bays are mindful with their trash, the waters of the Bays still routinely wash up forgotten items, careless litter, and storm debris. Participants can register for the 2018 Clean Up online at www.inlandbayscleanup.eventbrite.com. Advance registration is requested, as a light lunch and a reusable water bottle will be provided to participants. Additional boats are still needed! Location assignments will take place on the day of the event at the launch point: Massey’s Landing Public Boat Ramp, located at the very end of Long Neck Road in Millsboro. Volunteers should be prepared for the weather (including cooler, breezy conditions on the water) and should dress for dirty and wet conditions. Work gloves are recommended and closed-toe shoes are required. Those who have access to lifejackets should bring one, as they are required onboard any boat used during the cleanup. Otherwise, lifejackets will be provided. Each volunteer must sign a waiver to participate (available day-of). This event is not recommended for children under 10 and participants under 18 must be accompanied by parent or guardian. The Department of Natural Resources and Environmental Control (DNREC) once again is lending support through the Division of Fish & Wildlife Enforcement Section, along with the Division of Parks & Recreation. Sponsors include Delaware Center for the Inland Bays, Division of Fish and Wildlife Enforcement, Division of Parks and Recreation, Dewey Beach Lions Club, Waste Industries USA, Inc., Senator Ernie Lopez and the DSWA Community Cleanup Initiative. The Delaware Center for the Inland Bays is a non-profit organization established in 1994 to promote the wise use and enhancement of the Inland Bays and its watershed. With its many partners, the CIB conducts public outreach and education, develops and implements restoration projects, encourages scientific inquiry and sponsors research. For more information, please contact Bob Collins, Delaware Center for the Inland Bays, at 302-226-8105 ext. 111 or by email at jamesfarm@inlandbays.org.